As I found out after reading, this is one of the most famous and most widely-read novels of the first Australian recipient of the Nobel Prize in Literature. Although critically acclaimed abroad it wasn't much of a success in Australia when it first came out in 1955. It's the slow-paced life story of a good though rather taciturn farmer and his family in the stunning nature of New South Wales in the first half of the twentieth century. Things change all around, the children go their own ways and relations between husband and wife are characterised by affection and habit. For more be invited to click here and read my long review on my book blog Edith's Miscellany or its duplicate on Read the Nobels! 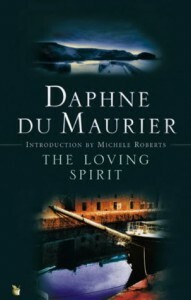 In spite of its title, the novel The Loving Spirit isn’t just another one of those shallow romances set in the picturesque landscape of Cornwall that swamp the book market. Much rather the English novel from 1931 is a family saga with obvious echoes of Emily Brontë’s Wuthering Heights and poetry. 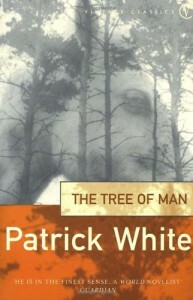 Spanning a hundred years, it shows the fate of four generations of the Coombie family starting in 1830 with wild Janet whose boundless love not only marks her own life but also that of her descendants... including that of her unloved son who makes a fortune to gain power and have his revenge to the very last. But he can't destroy the strong seed that Janet planted. Please click here to read my long review on Edith’s Miscellany! Sam Conry is nineteen, but he has already seen a lot since he was a soldier in the Korean War for nine months and he lost his admired older brother. Now he is back to the USA and he meets the girl whom his brother wished to present to him as a surprise... and his fiancée. 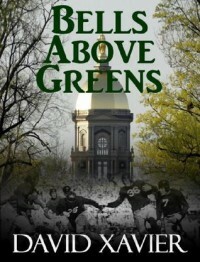 After the summer Sam resumes his studies at the University of Notre Dame where also his late brother's girlfriend Elle is a student at St. Mary's College. Sam drifts through student life - confused and without direction. You'd like to know more? Find my review here on my book blog Edith's Miscellany! Japanese literature has a lot to offer although little is available in English translation. One of the great writers known also in the western hemisphere is Yoshikawa Eiji. The Heiké Story is an epic story of war and peace with sentimental sidesteps – set in Classical Japan and based on true events as well as characters! Well, not as epic and colourful as the Japanese original must be because the translator took it upon himself to decide which plotlines and details might be interesting for western readers. 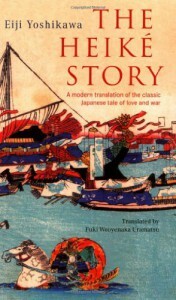 Despite all, the life story of Heita Kiyomori is an intriguing novel that makes the classical "Tale of the Heike" accessible to modern readers. Please click here to read my long review on my main book blog Edith's Miscellany! This forgotten classic from Germany was a best-selling novel in 1905 and translated into many languages. It was also widely read for nearly three decades – until the story of a fallen girl from a bourgeois family who sees no other way to survive but prostitution was pushed into the abyss of oblivion because it didn’t fit into the ideal and virtuous image of Germans that Nazi propaganda created. Mute films made of it had the same fate although the 1929 film of G. W. Pabst starring Louise Brooks is much appreciated by enthusiasts like the editor of the again available English edition of the book. Please click here to read the full review on my main book blog Edith’s Miscellany! Please follow the link here to read the long review on my main book blog Edith's Miscellany to know more about this novel! Some twenty years have passed since painter Elaine Risley left Toronto, Canada. Now she is back for a retrospective exhibition of her work and memories of childhood and youth flood her mind. Many of them are one way or another related to her "best friend" Cordelia who bullied her in primary school until she lost her power over Elaine when she almost froze to death in a ravine. Although she almost forgot those difficult years, they had a lasting impact on her life... and her painting. Read more about this Canadian novel here on my main book blog Edith's Miscellany. In the nineteenth century the discoveries of Charles Darwin not only revolutionised science and introduced the idea of evolution into human thinking, they also changed literature inspiring authors to a new approach to fiction writing. One of the first in Northern Europe to break with Romantic narrative tradition and to begin telling stories in a naturalistic style that showed man as a beast driven by instincts and urges was Danish botanist and writer Jens Peter Jacobsen (»»» read my author’s portrait). After his successful literary debut with a short story, he published in 1876 the historical novel Marie Grubbe. A Lady of the Seventeenth Century (Fru Marie Grubbe. Interieurer fra det syttende Aarhundrede). It is loosely based on the true story of a Danish noblewoman who died in 1718. The wild and headstrong Marie Grubbe who isn’t willing to content herself with being well provided for by just any suitable husband higher or equal in social status as her surroundings expect is sometimes called the Danish Madame Bovary, but having read both novels, I can make out only one similarity, namely the fact that the protagonists are women who driven by their longing for romantic love and happiness break social conventions. The plot isn’t particularly complex, the psychological depth, on the other hand, that Jens Peter Jacobsen lends his leading character is remarkable and outdoes even Gustave Flaubert in my opinion. In fact, much of the book’s charm lies in the skilful and meticulous depiction of the thoughts, emotions and unconscious urges of Marie Grubbe. Together with the precise and detailed illustration of scene, society and history it makes a gorgeous novel. To my great relief, Jens Peter Jacobsen’s writing style isn’t longwinded and flowery as that of many of his precursors and contemporaries which made the read very pleasant for me and amazingly modern too considering that the novel first appeared in 1876. It goes without saying that the works of Jens Peter Jacobsen are all in the public domain by now although there may be newer translations that aren’t. Nonetheless, an English edition of Marie Grubbe can be downloaded for free from Project Gutenberg for instance. The English prose novel as we know it today is an amazingly recent invention. Its rise began only in the seventeenth century thanks to writers like Daniel Defoe (c.1660-1731), Jonathan Swift (1667-1745)… and Aphra Behn (1640-1689) whose work was rediscovered only in the early twentieth century (»»» read my author’s portrait). Although in her time Aphra Behn was first of all a renowned playwright, she also wrote several novels in her later years. By modern standards, however, these novels are hardly more than novelettes or even short stories. One of these little known prose works from the pen of the first Englishwoman who was able make her living as a writer is The Adventure of the Black Lady first published in 1684. It’s the story of a young woman called Bellamora who has come from Hampshire to Covent Garden in the hope to find refuge and help with a cousin of hers. In her story Aphra Behn skilfully portrays Bellamora as a very naïve and foolish young woman who got herself into serious trouble and sees her only chance in flight. Both her parents are dead and she left her uncle’s estate pretending to visit a recently married cousin living not far away, while in reality she headed for town right away and with the intention to hide for a while in the “populous and public place” where she had another relation who would surly help her out. When Bellamora arrives in Covent Garden, however, she finds that her cousin doesn’t live there anymore and, even worse, that nobody there seems ever to have heard of her. Understandably, the young woman is desperate and uncertain what to do. The author makes her wander aimlessly through the parish in a hired coach and ask people if they know her cousin and her whereabouts. And surprise, surprise, an impoverished gentlewoman who lets lodgings for a living tells Bellamora that her cousin and her husband have been living with her for more than a year, but that they went out and she didn’t expect them back before the night. Greatly relieved Bellamora asks to be allowed to wait for the couple and, trusting as she is, she soon pours out her sorrowful heart to the friendly gentlewoman. When the Lady and her husband return at last, Bellamora is again plunged into despair because she isn’t her cousin after all. Luck would have it, though, that the Lady is an old acquaintance whom Bellamora doesn’t recognise at first, but who recalls the young woman at once and bids her welcome. And again Bellamora pours out her heart and this time she reveals the whole truth to the almost stranger, namely that she is eight months pregnant and fled from the advances of the child’s father whom she doesn’t want to marry for fear that after the wedding he will love her no longer. As befits a romantic “novel” of the time, with a few other lucky – and unlikely – twists brought about by both the gentlewoman and the Lady who is not the sought for cousin, Aphra Behn drives Bellamora’s story towards a happy ending. 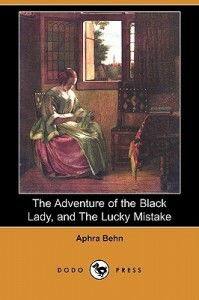 Instead of the dodo press book that contains also a novelette titled The Lucky Mistake, I read the free web edition of The Adventure of the Black Lady published by eBooks@Adelaide and found it an entertaining and very quick read about Romantic love and the desperation of a fallen young woman in England of the Restoration. Although Ernest A. Baker included it in his 1905 collection of The Novels of Mrs. Aphra Behn, it’s really a short story filling no more than a couple of pages. If it weren’t for the spelling and some peculiarities of language, the story would feel very modern almost like historical fiction written in the twentieth or twenty-first centuries. I warmly recommend it! It’s a generally known fact that poverty makes sick, but in our modern Western world people usually don’t fight for mere survival every day and poverty doesn’t equal penury any longer. In Austria, for instance, the net of social security is so densely-knit that everybody can get health care – unless for one reason or another, a person prefers to go underground and therefore doesn’t appear in the system. Nonetheless, data show that those with by comparison fewer material resources, less high education and lower standing have poorer health than those who are better off in these aspects. 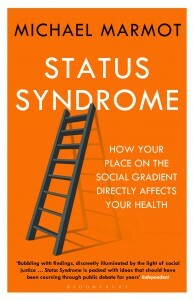 In his book The Status Syndrome. How Your Place on the Social Gradient Directly Affects Your Health first published in 2004 epidemiologist and public health expert Michael Marmot summarises the results of over thirty years of research and draws his conclusions with regard to what is needed to close the health gap. With immense expertise and with a dash of English humour now and then Michael Marmot presents chapter by chapter the different aspects that, as he discovered in decades of research, account for the health gap in rich countries. Quite naturally his focus is on the UK and the USA where he made his own studies, most importantly the two Whitehall ones about the health of public servants, or participated in studies of other public health experts, but he also keeps an eye on the situation in countries “across the world from Finland to Tierra del Fuego, and parts in between” that turns out to be by and large the same. Starting point is the finding that according to available data, life expectancy and health seem to be related to household income. Nonetheless, it’s not just a question of having money or not as Michael Marmot states referring to the opera La Bohème by Giaccomo Puccini. Statistics reveal that among countries that have to be considered poor by Western standards there are some – like Costa Rica and Cuba – with higher life expectancy than can be expected judging from the GDP (gross domestic product). Evidence doesn’t allow to attribute the fact to genetic determinants and environmental circumstances in these countries. Thus more important than income seem to be “capabilities” in comparison to others, i.e. relative wealth or poverty. And then other aspects connected to relative rank in society come into play. There’s power or rather control over your own life for one that is essential and that like income shows a clear relation to the level of education, but also opportunities to participate fully in society influence health. Who stands alone to face all the ups and down of life is more at risk to fall sick or to commit suicide as Michael Marmot points out using Joseph Conrad’s Nostromo as a literary example. There are, however, interesting differences with regard to how much social bonds improve the health of women and men. If the environment encourages the individual to trust others and the general level of social cohesion are crucial points also. For instance, it’s quite understandable that in a shabby neighbourhood with a high crime rate it isn’t easy to muster up the courage to go out, mix with people and make friends to rely on in hard times. The same goes for societies that have been turned upside down by historical events, notably Russia and the countries of the former Soviet Union after the breakup. Finally, Michael Marmot deals with the question if and how the family background, i.e. descent and upbringing, determines where on the social gradient an individual ends up and what impact it has on future health, if it has one. 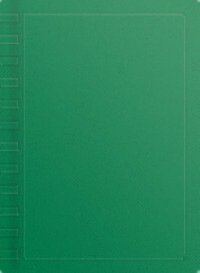 The book’s appendix reprints the Recommendations from the Independent Inquiry Into Inequalities in Health that the Acheson Group to which the author belonged as scientific advisor submitted to the British Government in 1998. Overall, The Status Syndrome. How Your Place on the Social Gradient Directly Affects Your Health by Michael Marmot gives a highly interesting and sometimes even entertaining insight into the workings of society with regard to health. Since the author is a physician, moreover a scientist his language (as was to be expected) tends to be rather technical and I found that sometimes it was even a bit difficult to follow for a layperson and non-native speaker of English like me. However, I liked the read very much and not least for the many references to literature and music, but also to history that Michael Marmot included into his book. Less than a year ago I reviewed a novel by Catalan author Mercè Rodoreda (1908-1983) who is much celebrated in her country but virtually unknown elsewhere. I was so impressed by the book that I felt like reading also others of her works and from the two novels published posthumously, both of them unfinished, I eventually picked the one available in English translation, namely Death in Spring or in the original Catalan La mort i la primavera, i.e. 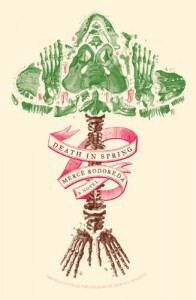 Death and Spring. At first the title seems a bit strange, if not contradictory because it links death with nature’s rebirth after winter, but given that the novel flows over with powerful as well as poetical symbols and metaphors of life and death it’s quite appropriate. It’s a complex and well-constructed story about society that reminds me a lot of the works of Franz Kafka although it’s different in style. Many reviewers argue that Death in Spring represents life during the Spanish Civil War and in the rigid regime of General Franco that followed and that forced the author into exile, but in my opinion this is too limited an interpretation. I think that the author more generally portrayed the workings of human society where conservative forces use to be the stronger ones except in times of deepest discontent and misery. Even in our modern western civilisation that holds individual freedom in such high esteem, those who aren’t like all others or behave in a different, maybe even revolutionary way are marginalised, excluded and eventually crushed, i.e. driven to suicide or madness like in the novel although more subtly than in a totalitarian regime. In a nutshell: this is another great work of literature that would deserve much more attention. Highly recommended! »»» read also my review of In Diamond Square by Mercè Rodoreda. As beautiful, highly educated and endowed for the arts as Alma Mahler-Werfel (1879-1964) was, she could have achieved a lot in the world, but during most of her life she remained in the shadows of her famous husbands and lovers. She had the bad luck to have been born at a time, when women only made their first tentative steps to claim their rights and their own place in society. Although her family and the circles that they frequented were among the most liberal of the fin de siècle, young and shy Alma quite naturally obeyed the command of her much older first husband Gustav Mahler (1860-1911) to give up for good all her own musical ambitions and activities. In 1939, when the Nazi regime defamed his work because he had been a Jew converted to Protestantism and refused him his place in the world of music, she brought out her very personal tribute to him under the title Gustav Mahler. Memories and Letters. Alma Mahler-Werfel begins her largely admiring memories of her late husband with their first encounter at a dinner party in November 1901. Although frequenting the same circles, until then she had managed to avoid meeting the controversial conductor and composer Gustav Mahler against whom public opinion and malicious gossip had biased her. Moreover, Alma had been to a performance of his First Symphony and – like most music lovers of the time – she loathed it because even she as a student of composition couldn’t understand his modern approach. However, the middle-aged musician was immediately attracted to the young woman and quite naturally she was impressed by the man and flattered by his attentions. Passionate and used to getting what he wanted, Gustav Mahler didn’t take long to make Alma his bride and he expected of her no less than giving up her own life as well as identity. For her it was a great sacrifice to abandon her music studies and composing, but she was convinced that it was worth it. And she never lost this conviction although she acknowledges to have been too young as well as too inexperienced and romantic to have known better. On their wedding day in March 1902 – scarce four months after their first encounter – Alma was already with child, but her condition changed nothing. He and his needs were all that counted even after their daughter was born and then another daughter. She never once reproached him for his egotism and lack of regard for her because she felt that as a musical genius he stood so much above her. Besides, she was aware that he needed the stability of home and her support since he had to cope with opposition from all sides – for his Jewish descent, for his modernist understanding of music, and for his tempers and idiosyncrasies. At the cost of her own health, she stayed by his side on his travels until his untimely death in May 1911. Every word of Alma Mahler-Werfel shows her unshakable awe of her ingenious husband and of his music although she didn’t go far beyond summarising the facts of their life together. I can’t help thinking that she left out quite a lot in order to paint as positive a picture of the man Gustav Mahler as she could. Maybe this was also due to her innate reserve and delicacy. It seems that she wasn’t actually a woman who wished to spread out her private life in public and in the foreword from 1939 she says herself that she hadn’t intended to publish her memories of Gustav Mahler or his letters to her during her lifetime. Seeing the Nazi regime talking ill of her late husband and denying his musical genius urged her to bring out the book in the dawn of World War Two. Although her portrait is necessarily biased and moreover incomplete, Gustav Mahler. Memories and Letters by Alma Mahler-Werfel is a partly forgotten read that definitely deserves my recommendation. Women or men who need to come to terms with the loss of a loved one are popular figures in literature. Often, the grieving find new joy, maybe even new love by the end of the story and at first this also seems to be the case in the late nineteenth-century novel Bruges-la-morte by almost forgotten Belgian journalist, poet and novelist Georges Rodenbach (1855-1898). But he was obsessed with death and so it’s little wonder that his symbolist chef-d'œuvre first published in 1892 is a thoroughly gloomy piece of prose poetry, a short Gothic novel in the vein of his contemporary Oscar Wilde. The book focuses on the melancholy scene of dead or moribund Bruges in Belgium at least as much as on the woebegone protagonist who has chosen the city to indulge in his infinite sorrow after the death of his adored wife and in keeping her memory alive. Overall, Bruges-la-morte by Georges Rodenbach is an impressive short novel that flows over with all kinds of most beautiful allegories and metaphors that not only allow but also inspire thorough analysis. I loved its poetical language that offers lots of remarkable images and that feels exceedingly precise in spite or because of the author’s frequent use of vague or ambiguous words or expressions. For me the read was a great pleasure and I can’t thank enough my friend in Belgium who surprised me with the book past year. It’s a shame that such a marvellous piece of fiction had to remain in the darkness of literary oblivion for a hundred years until someone thought of bringing it back to light… and to the attention of avid readers like me. Since George Rodenbach died already in 1898, the original French versions of his work are all in the public domain and can be downloaded legally and free from sites like Ebooks libres et gratuits. If old translations of this impressive short novel exist, they might be in the public domain too, but all English editions that I found are of very recent date and therefore copyrighted. All his life Gustave Flaubert claimed that only the story counted and that its author should disappear without trace behind it, but however passionately a writer may assure that her or his work has nothing whatsoever to do with her or his life, such complete objectivity is an illusion. It’s impossible to achieve because nobody’s soul is an empty slate. Every word that a person jots down, be it on the spur of the moment or after long thought, be it in fiction or non-fiction, inevitably mirrors past experiences, education and views. To truly understand a literary work it can therefore be helpful to know the biography of its author, notably when the writings are complex or full of symbolism. 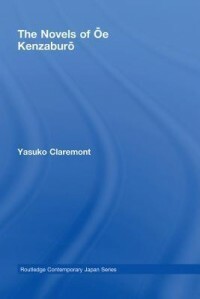 In her critical study The Novels of Ōe Kenzaburō Yasuko Claremont from the University of Sydney analyses the literary oeuvre that the recipient of the 1994 Nobel Prize in literature produced between 1957 through 2006 and links it with important events in the Japanese author’s private life beginning in his childhood. As Yasuko Claremont illustrates, the writing of Ōe Kenzaburō – like every author’s – isn’t static but changes over the decades and often mirrors events that had a more or less important impact on him as a person, on his family or on society altogether. 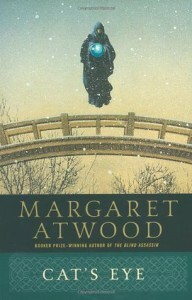 She also demonstrates by several examples that the works of the author, notably early ones like Nip the Buds, Shoot the Kids and award-winning Prize Stock, clearly show the marks of his partly traumatic, partly spiritual experiences as a boy in a remote village surrounded by dense forests during and shortly after World War II and then as a young man in war-shattered Tōkyo where he studied French literature. According to the scholar these formative years quite naturally account too for the more constant elements in his opus, above all for Ōe‘s themes that are generally depressing as well as full of violence and despair in all their (cruel and destructive) manifestations. She states as well that his entire literary oeuvre is permeated with humanistic moral views that are clearly influenced by Western literature and philosophy, notably Jean-Paul Sartre, C. G. Jung, Wilhelm Reich, Mikhail Bakhtin and the Bible. Moreover, Yasuko Claremont finds the roots of the mythical abstractions that he uses throughout his career in the ancient legends that he heard in his childhood and that he internalised. The most obvious changes in Ōe’s writing the scholar sees in his approach to themes and characters. The three big stages of development that she identifies in the author’s long as well as successful literary career are a deeply Sartrean existentialism that saturates his rather bleak early work – e.g. 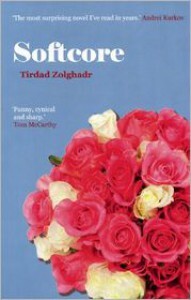 the story Nip the Buds, Shoot the Kids or the novella Seventeen – on which follows a more positive phase surrounding the principle of atonement – as in the novels A Personal Matter and The Silent Cry – that eventually leads the author to the concept of salvation in daily life – like in the novel Somersault. 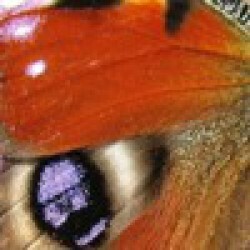 Having read so far only one novel by Ōe Kenzaburō (»»» read my review of The Changeling on Edith’s Miscellany), it was difficult for me to follow the literary and spiritual path that Yasuko Claremont traced in such detail. It’s true that she integrated summaries of all the author’s important works into her study (not least because several of them aren’t available in English translation), but naturally it wasn’t the same as knowing the full text. Certainly, her target audience were other scholars and fans of the author with a comprehensive knowledge of his work. Nonetheless, this critical study of The Novels of Ōe Kenzaburō was an interesting and as regards the novel that I read and reviewed also an enlightening experience that made me curious about the en-NOBEL-ed writer’s other works, above all the later ones that seem to be less bleak and less overtly violent. During much of European history men shaped the world of things and thought as they believed right and passed over women in silence, if they didn’t hold them in contempt. Highly revered Fathers of the Christian Church like Saint Augustine of Hippo Regius further institutionalised this contempt of women… and of earthly pleasures altogether as shows his autobiography titled Confessiones. In this theological key text he admits that before his conversion to Christianity in 385 he was a man who tasted life to the full. For over ten years he lived with a concubine (probably law forbade a formal marriage) and had a son with her, but in retrospect he regrets this sinful and immoral relationship because it kept him from true love of God. In Vita Brevis. A Letter to Saint Augustine (also translated into English as The Same Flower) the Norwegian writer, philosopher and theologian Jostein Gaarder gave this abandoned woman a voice. In 1995 in a second-hand bookshop in Buenos Aires, Argentina, Jostein Gaarder comes across an old manuscript in a red box titled Codex Floriae. Its first sentence shows that it’s the letter of a certain Floria Aemilia to Augustinus Aurelius, the Bishop of Hippo Regius in Northern Africa (today: Algeria) who was later to become Saint Augustine. When he translates another sentence, it occurs to him that Floria Aemilia might be the saint’s long-time concubine whom he mentioned in his Confessiones without ever revealing her name. Of course, the author doesn’t know if the seventeenth-century copy is of an authentic letter, but it intrigues him that it might be and he buys it. Back home he makes a copy of the entire letter and sends the original to the Vatican Library for inspection. The Codex Floriae gets lost and the author decides to translate the Latin text from his copy and to publish it as Vita Brevis. A Letter to Saint Augustine. So far in brief what Jostein Gaarder says in his introduction about the actual letter of Floria Aemilia that makes up the major part of the book. As it soon turns out, the author was right to assume that Floria Aemilia is the concubine of Saint Augustine. The exceptionally intelligent and self-assured woman from Carthage read the Confessiones of her former lover and obviously felt the urgent need to comment on them, notably on the passages dealing with their life together in Northern Africa, Rome and eventually Milan and with the emotional bonds between them that he tries to reduce to sexual desire. But she doesn’t only give her point of view of events (sometimes drifting into bitterness or mockery seeing how religious frenzy distorted his memories and opinions). Thanks to thorough studies of philosophy, theology as well as rhetoric during the years since Augustine sent her back to Carthage, she is able to challenge his notions of (original) sin and morality with great dialectical skill. Above all, she can’t agree with his attitude towards women who are for him the seducers leading men astray from the way to God and Eternal Life. Augustine postulates that all pleasures on Earth are sinful and should be avoided in preparation of life after death, while Floria Aemilia is convinced that pleasures are God-given and that denying them means to deny God’s creation. She supports her arguments with many quotations from classical Greek and Roman sources that Jostein Gaarder points out and explains in footnotes if necessary for understanding. All things considered, Vita Brevis. A Letter to Saint Augustine isn’t so much a book about Floria Aemilia than it’s about Saint Augustine, his biographical background and above all his philosophy that helped to marginalise women not only in the Christian Church, but in Christian society altogether for more than one and a half millennium. Alone for the critical examination of the Confessiones from a female point of view, it’s a worthwhile read. In addition, it’s well written and easy to follow despite the complex philosophical argument. Many have wondered, if the Codex Floriae really exists or if the “feminist manifesto” of Floria Aemilia is an invention of Jostein Gaarder. As it seems, the author always refused to clearly answer the question. I think that the book is a gorgeous work of fiction.